Letizia Mencarini, Daniele Vignoli (2018). Genitori Cercasi. L’Italia nella trappola demografica. Milano: Egea. Silvana Salvini, Daniele Vignoli (2014). Convivere o Sposarsi? Bologna: il Mulino, Universale Paperbacks. Marcantonio Caltabiano, Emanuela Dreassi, Emilia Rocco, Daniele Vignoli (in press). A sub-regional analysis of family change: The spatial diffusion of one-parent families across Italian municipalities, 1991-2011. Population, Space, and Place. Letizia Mencarini, Mirko Lai, Emilio Sulis, Viviana Patti, Daniele Vignoli (in press). Happy Parents’ Tweets. An exploration of Italian Twitter Data with Sentiment Analysis. Demographic Research. Marco Mariani, Alessandra Mattei, Lorenzo Storchi, Daniele Vignoli (in press). The ambiguous effects of public assistance to youth and female start-ups between job creation and entrepreneurship enhancement. Italian Journal of Regional Sciences. Annalisa Busetta, Daria Mendola, Daniele Vignoli (2019). Persistent Joblessness and Fertility Intentions. Demographic Research, 40: 185-218. Letizia Mencarini, Daniele Vignoli, Tugba Zeydanli, Jungho Kim (2018). Life Satisfaction Favors Reproduction. The Universal Positive Effect of Life Satisfaction on Childbearing in Contemporary Low Fertility Countries. Plos One, 13(12): 1-19. Natalie Nitsche, Anna Matysiak, Jan Van Bavel, Daniele Vignoli (2018). Partners’ Educational Pairings and Fertility Across Europe. Demography, 55(4): 1195-1232. Daniele Vignoli, Anna Matysiak, Marta Styrc, Valentina Tocchioni (2018). The Positive Impact of Women’s Employment on Divorce: Context, Selection, or Anticipation? Demographic Research, 38: 1059-1110. Trude Lappegård, Sebastian Klusener, Daniele Vignoli (2018). Why are Marriage and Family Formation Increasingly Disconnected across Europe? A Multi-level Perspective on Existing Theories. Population, Space and Place, 24(2):1-15. Letizia Mencarini, Daniele Vignoli (2018). Employed Women and Marital Union Stability: It Helps When Men Help. Journal of Family Issues, 39(5): 1348-1373. Arnaud Regniér-Loilier, Daniele Vignoli (2018). The Diverse Nature of Living Apart Together Relationships: An Italy–France Comparison. Journal of Population Research, on-line first. Daniele Vignoli, Elena Pirani, Alessandra Venturini (2017). Female Migration and Native Marital Stability: Insights from Italy. Journal of Family and Economic Issues, Volume 38(1): 118–128. Elena Pirani, Daniele Vignoli (2016). Changes in the satisfaction of cohabitors relative to spouses over time. Journal of Marriage and Family, 78(3): 598–609. Daniele Vignoli, Maria Letizia Tanturri, Francesco Acciai (2016). Home bitter home? Gender, living arrangements, and the exclusion from homeownership among older Europeans. Genus, 72: 1-18. Alessandra Mattei, Anna Gottard, Daniele Vignoli (2015). The relationship between education and fertility in the presence of a time-varying frailty component. Journal of the Royal Statistical Society – Series A, Statistics in Society, 178: 863-881. Monika Mynarska, Anna Matysiak, Anna Rybinska, Valentina Tocchioni, Daniele Vignoli (2015). Diverse paths into childlessness over the life course. Advances in Life Course Research, 25: 35–48. Letizia Mencarini, Daniele Vignoli, Anna Gottard (2015). Fertility intentions and outcomes. Implementing the Theory of Planned Behavior with graphical models. Advances in Life Course Research, 23: 14-28. Cristina Ocello, Alessandra Petrucci, Maria Rita Testa, Daniele Vignoli (2015). Environmental Aspects of Internal Migration in Tanzania. Population and Environment, 37(1): 99-108. Gustavo De Santis, Sven Drefahl, Daniele Vignoli (2014). A Period TFR with Covariates for Short-Panel Data. Population-E, 69(3):419-432. Daniele Vignoli, Silvana Salvini (2014). Religion and union formation in Italy: Catholic precepts, social pressure, and tradition. Demographic Research, 31: 1079-1106. Brienna Perelli-Harris, Monika Mynarska, Ann Berrington, Caroline Berghammer, Ann Evans, Olga Isupova, Renske Keizer, Andreas Klaerner, Trude Lappegård, Daniele Vignoli (2014). Towards a new understanding of cohabitation: Insights from focus group research across Europe and Australia. Demographic Research, 31: 1043-1078. Daniele Vignoli, Elena Pirani, Silvana Salvini (2014). Family Constellations and Life Satisfaction in Europe. Social Indicators Research, 117(3): 967-986. Anna Matysiak, Marta Styrc, Daniele Vignoli (2013). The Educational Gradient in Marital Disruption: A Meta-analysis of European Research Findings. Population Studies, 68(2):197-215. Daniele Vignoli (2013). The Role of Work Experience in Shaping the Entry into Motherhood: A Study for Italy. Population Review 52(2): 99-118. Gerda Neyer, Trude Lappegard, Daniele Vignoli (2013). Gender Equality and Fertility: Which Equality Matters? European Journal of Population 29: 245-272. Anna Matysiak, Daniele Vignoli (2013). Diverse Effects of Women’s Employment on Fertility: Insights From Italy and Poland. European Journal of Population 29: 273-302. Daniele Vignoli, Francesca Rinesi, Eleonora Mussino (2013). A Home to Plan the First Child? Fertility Intentions and Housing Conditions in Italy. Population, Space, and Place 19: 60-71. Giuseppe Gabrielli, Daniele Vignoli (2013). The Breaking-Down of Marriage in Italy: Trends and Trendsetters. Population Review 52(1): 87-109. Daniele Vignoli, Sven Drefahl, Gustavo De Santis (2012). Whose job instability affects the likelihood of becoming a parent in Italy? A tale of two partners. Demographic Research 26: 41-62. Arnaud Regniér-Loilier, Daniele Vignoli (2011). Fertility Intentions and Obstacles to their Realization in France and Italy. Population-E 66 (2): 361-390. Silvana Salvini, Daniele Vignoli (2011). Things Change: Women’s and Men’s Marital Disruption Dynamics in Italy During a Time of Social Transformations, 1970-2003. Demographic Research 24(5): 145-174. Alessandra De Rose, Daniele Vignoli (2011). Families all’italiana: 150 years of history. Rivista Italiana di Economia, Demografia e Statistica LXV(2): 121-144. Anna Matysiak, Daniele Vignoli (2010). Employment around First Birth in Two Adverse Institutional Settings: Evidence from Italy and Poland. Journal of Family Research 3/2010: 331-346. Anna Matysiak, Daniele Vignoli (2010). Methods for Reconciling the Micro and the Macro in Family Demography Research: A Systematisation. Studia Demograficzne 1/155: 98-109. Daniele Vignoli, Gustavo De Santis (2010). Individual and Contextual Correlates of Economic Difficulties in Old Age in Europe. Population Research and Policy Review 29: 481-501. Letizia Mencarini, Daniele Vignoli (2009). The Impact of Demographic Shift on Tertiary Education System in Italy. GENUS LXIV(3-4): 173-188. Arnaud Régnier-Loilier, Daniele Vignoli (2009). Enfant unique ou famille nombreuse : qui s’écarte de la norme à deux enfants ? Comparaison des souhaits de fécondité en France et en Italie. Revue des Sciences Sociales 41: 16-29. Daniele Vignoli, Irene Ferro (2009). Rising Marital Disruption in Italy and its Correlates. Demographic Research 20: 11-36. Daniele Vignoli, Arnaud Régnier-Loilier (2009). Chi non desidera due figli? Uno studio comparativo tra Francia e Italia. Rivista di Studi Familiari 2009(1): 19-39. Maria Letizia Tanturri, Daniele Vignoli (2009). Do older poor Europeans have less access to home ownership? Evidence from the SHARE survey. 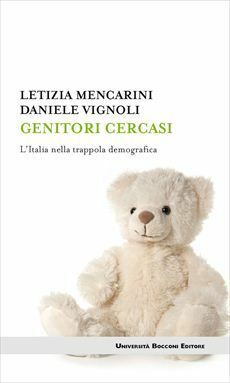 Rivista Italiana di Economia, Demografia e Statistica LXIII: 211-218. Anna Matysiak, Daniele Vignoli (2008). Fertility and Women’s Employment: A Meta-Analysis. European Journal of Population 24(4): 363-384. Agata V. D’Addato, Daniele Vignoli, Sutay Yavuz (2008). Towards Smaller Family Size in Egypt, Morocco and Turkey: Overall Change over Time or Socio-economic Compositional Effect? Population Review 47(1): 25-44. Alessandra Petrucci, Nicola Salvati, Silvana Salvini, Daniele Vignoli (2008). Invecchiamento e mobilità nell’area metropolitana fiorentina. Rivista di Economia e Statistica del Territorio 2008(2): 81-103. Tiziana Torri, Daniele Vignoli (2007). Forecasting the Italian Population, 2005-2055: A Stochastic Approach. GENUS LXIII(1-2): 93-118. Luigi Di Comite, Agata V. D’Addato, Daniele Vignoli (2007). Politiche e Prassi Demografiche nel Bacino Mediterraneo: la Transizione della Fecondità in Egitto tra Tradizione e Sviluppo. Il Politico LXXII(1):145-163. Daniele Vignoli (2006). Fertility Change in Egypt: From Second to Third Birth. Demographic Research 15: 499-516. Caterina Giusti, Daniele Vignoli (2006). Determinants of Contraceptive Use in Egypt: A Multilevel Approach. Statistical Methods & Applications 15(1): 89-106. Anna Matysiak, Daniele Vignoli (2016). Childbearing Behaviors of Employed Women in Italy and Poland. In: T. Roosalu and D. Hofacker [Eds. ], Rethinking Gender, Work, and Care in a New Europe. Theorising Markets and Societies in the Post-Socialist Era, Palgrave McMillan. Daniele Vignoli, Francesca Rinesi (2014). Fertility Intentions. In: Michalos, Alex C. [Ed. ], Encyclopedia of Quality of Life and Well-Being Research, Springer, pp. 2267-2268. Daniele Vignoli (2014). Gender and Wealth. In: Michalos, Alex C. [Ed. ], Encyclopedia of Quality of Life and Well-Being Research, Springer, 2419-2420. Daniele Vignoli, Anna Matysiak (2012). Methods for Reconciling the Micro and the Macro in Family Demography Research: A Systematization. In: Di Ciaccio Agostino; Coli, Mauro; Angulo Ibanez, Jose Miguel [Eds. ], Advanced Statistical Methods for the Analysis of Large Data-Sets, Springer, pp. 475-484. Daniele Vignoli (2011). Work and Fertility. Employment and Reproductive Careers among Italian Couples. In: Book of Short Papers – PHD Theses in Statistics and Applications. Italian Statistical Society, Cleup. Daniele Vignoli, Giuseppe Gabrielli, Giancarlo Gualtieri (2011). Formazione e scioglimento delle unioni, in S. Salvini e A. De Rose [Eds. ], “Rapporto sulla popolazione – L’Italia a 150 anni dall’Unità, Bologna: Il Mulino, Universale Paperbacks, pp. 33-55. Anna Matysiak, Daniele Vignoli (2009). Family and Work Re-Conciliation: A New Approach to an Old Problem. In: M. Kuhn and C. Ochsen [Eds. ], Labour Markets and Demographic Change, VS Verlag, pp. 234-251. Letizia Mencarini, Emiliana Baldoni, Daniele Vignoli (2009). The Italian Case. In: L. Vlăsceanu and L. Grünberg [Eds. ], Demographics and Higher Education in Europe – Institutional Perspectives, Bucharest/Cluj: UNESCO-CEPES and University Press Cluj, UNESCO-CEPES series: Higher Education for A Knowledge Society, pp. 223-270. Daniele Vignoli, Irene Ferro (2009). Instabilità matrimoniale e lavoro della donna in Italia: un’analisi dinamica, proceeding of the conference “Instabilità familiare: aspetti causali e conseguenze demografiche, economiche e sociali”, Accademia Nazionale dei Lincei, pp. 99-114. Viviana Egidi, Silvana Salvini, Daniele Spizzichino, Daniele Vignoli (2009). Salute e qualità della sopravvivenza, in Fausta Onagro e Silvana Salvini [Eds. ], “Rapporto sulla popolazione – Salute e sopravvivenza, Bologna: Il Mulino, Universale Paperbacks, pp. 33-49. Daniele Vignoli (2009). L’Italia in Europa: differenze e somiglianze nella qualità della sopravvivenza [Italy in Europe: differences and similarities in healty life expectancy], in Fausta Onagro e Silvana Salvini [Eds. ], “Rapporto sulla popolazione – Salute e sopravvivenza, Bologna: Il Mulino, Universale Paperback, pp.49-52. Letizia Mencarini, Silvana Salvini, Daniele Vignoli (2008). Mediterranean Fertility. Similarities and Differences between the two Shores of the Mediterranean. In: M. Petricioli [ed. ], L’Europe méditerranéenne – Mediterranean Europe, Collection L’Europe et les Europes n°8 (19e et 20e siécles), Bruxelles: P.I.E. Peter Lang, pp. 141-162. Alessandra Petrucci, Silvana Salvini, Daniele Vignoli (2006). Vieillissement et évolution du peuplement dans l’aire Florentine. In Gérard-Francois Dumont [ed. ], Les territoires face au vieillissement en France et en Europe. Géographie – Politique – Prospective, Paris: Carrefours Les Dossiers, ellipses. Emilio Sulis, Cristina Bosco, Viviana Patti, Mirko Lai, Delia Irazú Hernández Farías, Letizia Mencarini, Michele Mozzachiodi, Daniele Vignoli (2016). Subjective Well-Being and Social Media. A Semantically Annotated Twitter Corpus on Fertility and Parenthood. Proceedings of Third Italian Conference on Computational Linguistics (CLiC-it 2016) & Fifth Evaluation Campaign of Natural Language Processing and Speech Tools for Italian. Final Workshop (EVALITA 2016), Napoli, Italy, December 5-7, 2016. CEUR Workshop Proceedings, vol. 1749, CEUR-WS.org. Anna Gottard, Alessandra Mattei, Daniele Vignoli (2011). Modelling fertility and education in Italy in the presence of time-varying frailty component, Proceedings of the 26th International Workshop on Statistical Modelling, July 11-15 2011, València. Giovanni M. Marchetti, Ilaria Vannini, Anna Gottard, Daniele Vignoli (2011). Regression graph models: an application to joint modelling of fertility intentions among childless couples, Proceedings of the 26th International Workshop on Statistical Modelling, July 11-15 2011, València. Letizia Mencarini, Silvana Salvini, Daniele Vignoli (2010). Having Children in Italy: From Intentions to Realisations, Proceeding of the XLV Scientific Meeting of the Italian Statistical Society, June 16-18 2010, Padova. Daniele Vignoli (2010). Human Capital and the First Child in Italy, Proceeding of the XLV Scientific Meeting of the Italian Statistical Society, June 16-18 2010, Padova. Daniele Vignoli, Anna Matysiak (2009). “Reconciling” Micro and Macro in Family Demography Research: An update, Proceeding of the 2009 Intermediate Meeting of the Italian Statistical Society “Statistical Methods for the Analysis of Large Data-Sets” – Invited Papers, september 23-25 2009, Pescara, pp. 31-34. Daniele Vignoli, Silvana Salvini (2008). Couples’ Careers, Self Selection, and Fertility in Italy, proceedings of the XLIV Annual Meeting of the Italian Statistical Society, Arcavacata di Rende, June 25-27 2008 (cit. 9 PoP). Irene Ferro, Silvana Salvini, Daniele Vignoli (2008). The Determinants of Marital Disruption in Italy: Differences and Similarities between Women and Men, proceedings of the XLIV Annual Meeting of the Italian Statistical Society, Arcavacata di Rende, June 25-27 2008. Tiziana Torri, Daniele Vignoli (2007). 2006-2055: A Stochastic Forecast of the Italian Population, proceedings of the 2007 Intermediate Conference “Risk and Prediction” of the Italian Statistical Society, Venice, June 6-8 2007. Agata V. D’Addato, Daniele Vignoli (2006). Transition to third birth in Morocco, proceedings of the XLIII Annual Meeting of the Italian Statistical Society, Turin, June 14-16 2006.